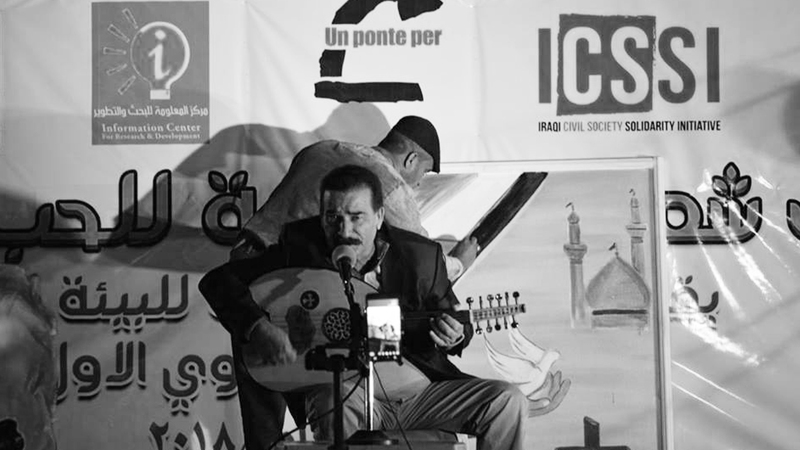 The Iraq Civil Society Solidarity Initiative (ICSSI) is an advocacy initiative working to build concrete links of solidarity between international civil society organizations and the growing Iraqi civil society. They support advocacy campaigns and projects that promote human rights, a just peace, and all efforts to oppose sectarian conflict, corruption and violence in Iraq. The ICSSI was born out of the worldwide coalition that organized the largest demonstration in history, on February 15, 2003 to protest against the war in Iraq. It has worked since then to end the foreign occupation of Iraq and to advance dignity, human rights, and social justice for all Iraqi citizens through nonviolent action. ICSSI supports the involvement of Iraqis in the World Social Forum process and develop its strategy in partnership with the Iraqi Social Forum Committee, since it believes another world is being built through the constructive actions and protests of social movements. ICSSI has held many conferences, from Rome 2009, to Paris 2010, Erbil 2011, Basra 2012, Oslo 2014, Sulaimaniya 2016 and 2017. At these event, activists from all over the world focused on communication, networking participation, in thematic programs that help support Iraqi civil societu for human and environmental rights. Over the last decade, Iraqi civil society has continuosly progressed. Iraq hase seen many developments: most recently the defeat of Daesh and the return of vast numbers of internally displaced people to their liberated cities, where the can npow reconstruct peace and reinvigorate civil society . Popular, non violent protests across Iraq have succeded in puttin political reforms, social justice, ensuring basic services for all, and protection of water resources and the environment, among top priorities for Iraqi politicians. Social movements made it clear that Iraqis deserve better and that another Iraq must emerge!